SAJA | South Asian Journalists Association - Book Event: "Six Degrees of Education" - Changing Careers and More. Book Event: "Six Degrees of Education" - Changing Careers and More. Throckmorton Fine Arts, 145 East 57 Street near Lexington Ave; 3rd floor. "Six Degrees of Education" - Changing Careers and More. Ignatius Chithelen, fund manager, start up adviser and former journalist, and Gary Shapiro, former Skadden Arps lawyer and current journalist will chat about changing careers. WHEN: Monday September 26, 2016; 6 pm to 8 pm. WHERE: Throckmorton Fine Arts, 145 East 57 Street near Lexington Ave; 3rd floor. 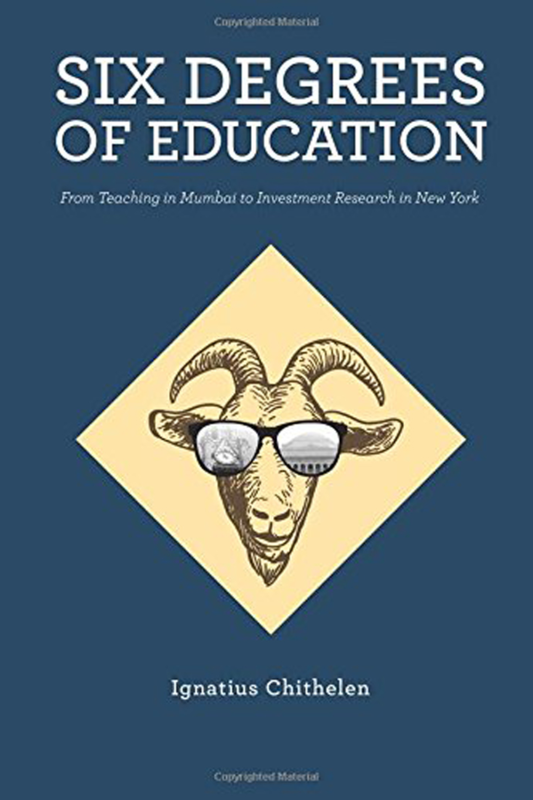 In his book "Six Degrees of Education" Ignatius Chithelen describes moving from teaching in school and college and the Economic & Political Weekly in Mumbai to working at Forbes and Sogen Funds in New York (now part of First Eagle funds, managing over $97 billion.) He is also adviser to start ups including Silley Circuits, New York's business network. Gary Shapiro moved from being a lawyer at Skadden Arps to a reporter at The Sun and is now a writer for Columbia University publications. Ignatius and Gary will informally chat about changing careers. A Chartered Financial Analyst, Ignatius' degrees include philosophy, politics and economics from India and journalism from Columbia University. Gary is a BA from Harvard, a JD from Columbia and studied at Cambridge University. "Six Degrees of Education" will be on sale and Ignatius will sign copies; along with Visakh Menon, the book’s designer. Half the net proceeds from sales of "Six Degrees" will go to SAJA's scholarship fund.